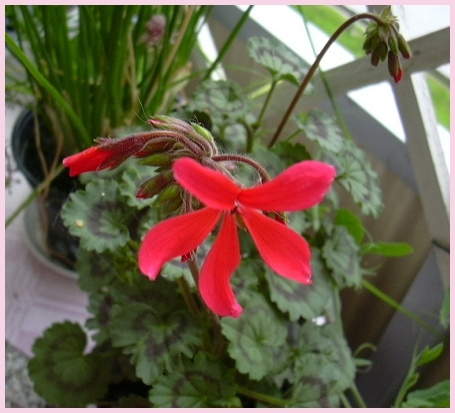 One of the red pelargoniums has opened it's first flower. first flowers as well today. 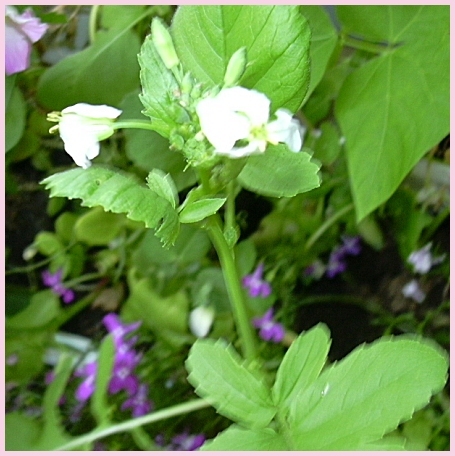 It's a flowering radish!! !